One of America’s Founding Fathers, Benjamin Franklin is best remembered on the island for coordinating an audacious plan in collaboration with Colonel Henry Tucker, the head of a local family, to obtain the store of gunpowder in the Royal Arsenal at Bermuda during the Revolutionary War. To give Bermuda much-needed foodstuffs in exchange for the powder, the American Continental Congress resolved on July 15, 1775 to permit the exchange of provisions for guns and gunpowder brought by any vessel to an American port. On the night of August 14, 1775, two American ships kept a rendezvous with Colonel Tucker’s men off the coast of Bermuda, and sent a raiding party ashore. An American sailor was lowered into the arsenal through an opening in the roof, and the doors opened from the inside. The barrels of gunpowder were rolled to waiting Bermudian whaleboats and transported to the American ships. Twelve days later half of the powder was delivered to Philadelphia and half to American forces at Charleston. But Franklin [1705-1790], who was in his time an author, printer, political theorist, politician, postmaster, scientist, musician, inventor, satirist, civic activist, statesman, and diplomat, had an earlier, less glorious connection to Bermuda. 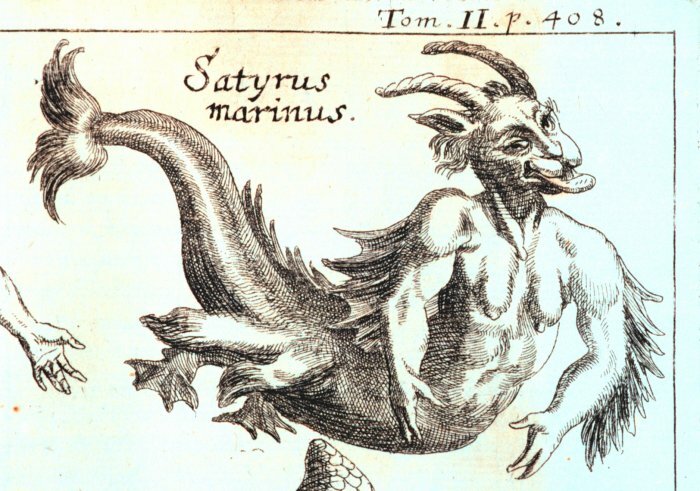 As a young writer for a Pennsylvania newspaper, Franklin — one of the future signatories of the Declaration of Independence and an author of the US Constitution — was responsible for an unsubstantiated report about a merman supposedly washed ashore on the island. “From Bermuda, they write, that a Sea Monster has been lately seen there, the upper part of whose Body was in the Shape and about the Bigness of a Boy of 12 Years old, with long black Hair; the lower Part resembled a Fish,” ran Franklin’s dispatch in the “The Pennsylvania Gazette” on April 29, 1736. Biographers have suggested the piece was written to appear in the April 1 edition of the newspaper and accidentally found its way into print later that month because the editor failed to realise the story was a joke. 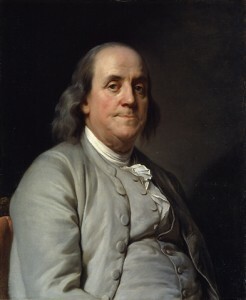 Although chiefly remembered for his political and diplomatic activities, as a scientist Benjamin Franklin was a major figure in the American Enlightenment and the history of physics. Among other things, he invented the lightning rod, bifocals and the Franklin stove.